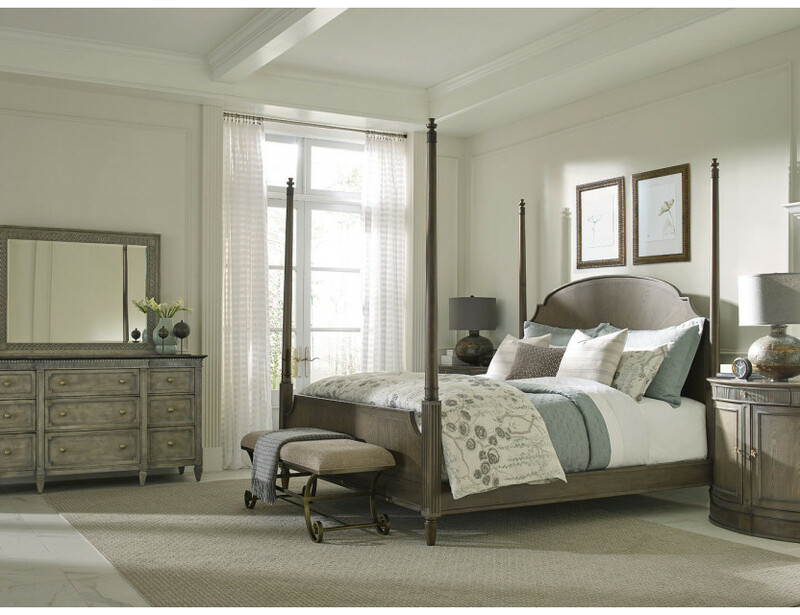 Poster bed with classic forms is stately and elegant but also casual with the mocha elm finish that would work well with everything in this grouping. 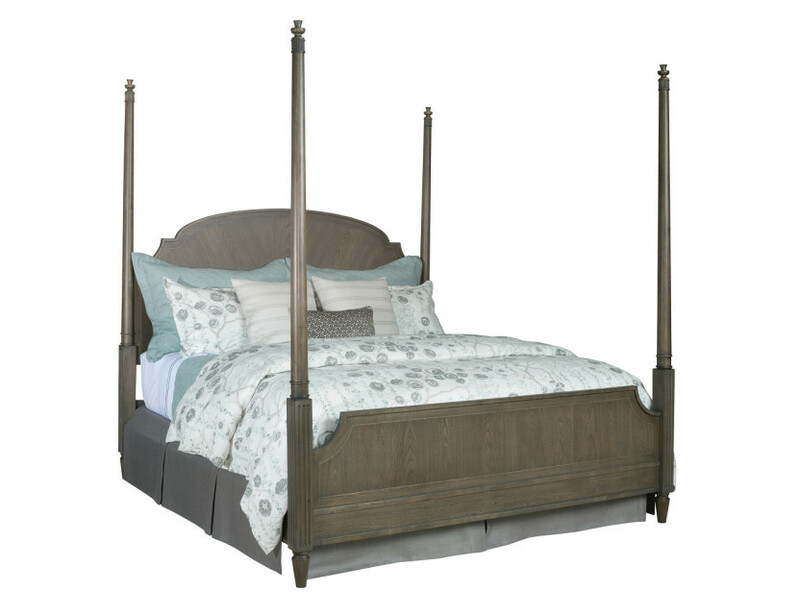 Reeded posts with elegant shaping make this a masterpiece. Available in Queen, King & California King.